This year top luxury watchmakers took the plunge and emerged from the deep with diving watches structurally designed to perform in extreme conditions as well as transform into stylish everyday wear timepieces. Cartier, Girard-Perregaux, Hublot and IWC established a theme with their brands launching the year with spectacular diver’s watches. 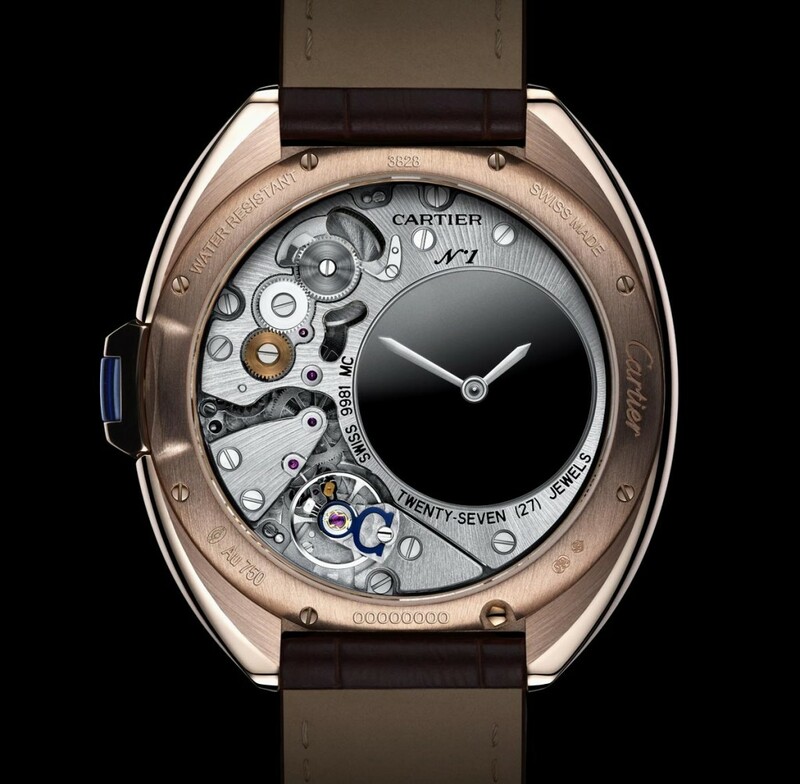 Cartier raised the bar even for its exceptional standards by adding to its already prestigious Calibre de Cartier collection a diver’s watch – the Cartier Calibre De Cartier Diver Watch. 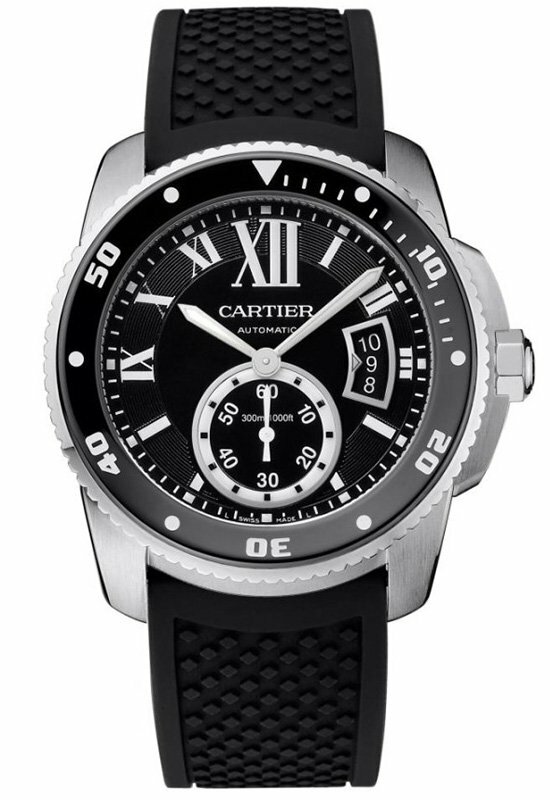 Cartier Calibre De Cartier Diver watch incorporates the brand’s appealing style with the technical requirements of ISO 6425 producing a watch to attract professional divers and admirers of diving watches alike. 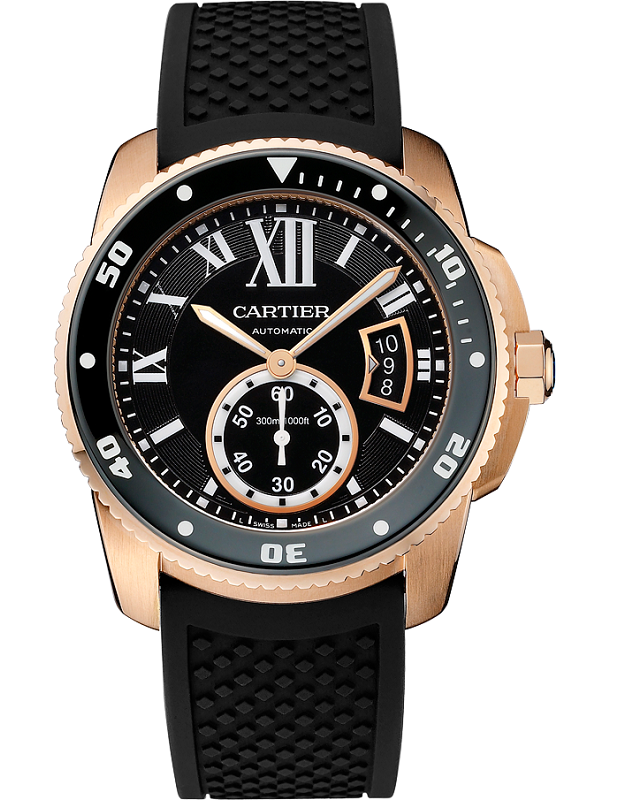 Cartier Calibre De Cartier Diver is presented in a pink gold or stainless steel 42 mm case contrasted by a matt black dial that exhibits Roman numerals and an oversized Roman numeral twelve (a brand trademark) done in Super-Luminova as is the hour/minute hands and sub-dial. 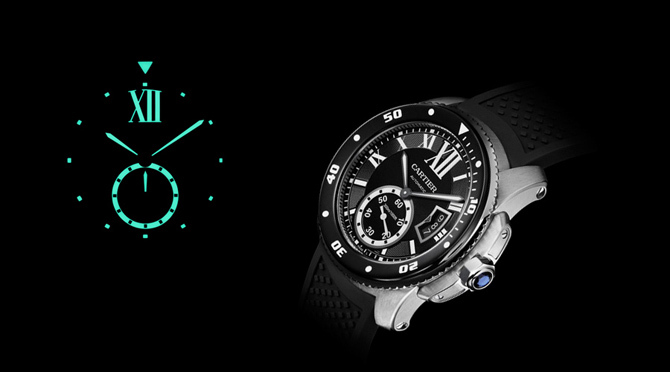 It has high quality 120-notch unidirectional rotating bezel with five-minute markers which is also done in Super-Luminova. Cartier Calibre De Cartier Diver houses Cartier’s in-house 1904 MC self-winding mechanism, and contains ceramic ball bearings at the center of the rotor to aide in shock resistance and durability, all of which is protected by a thick crystal and a screw-in crown assuring water-resistance up to 990 feet. It is available adorned in a black rubber strap with a stainless steel or pink gold case, as well as in pink gold or stainless steel bracelets. 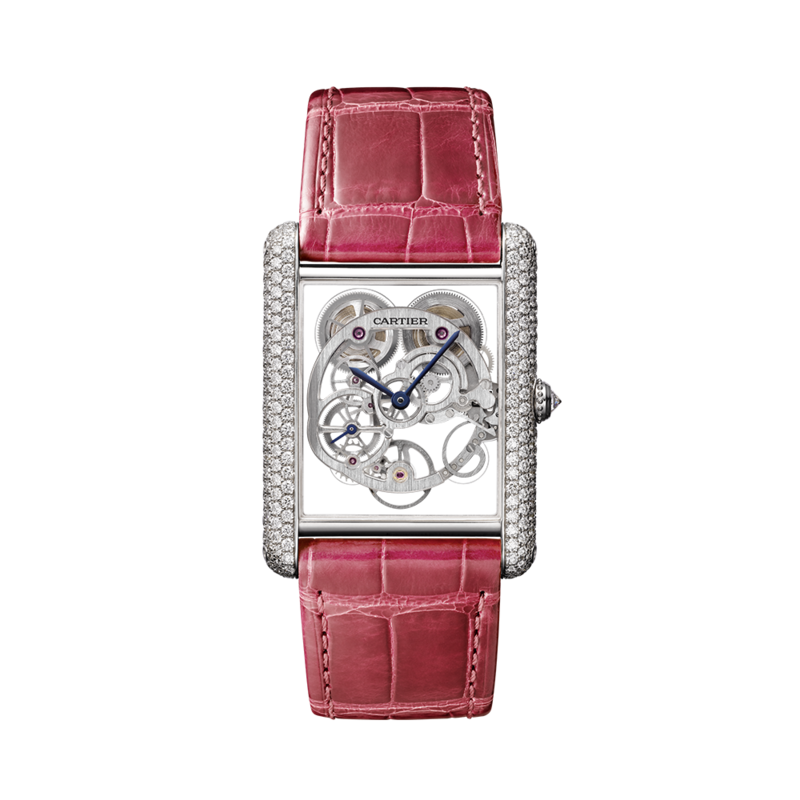 Prices for the rubber strap versions is $8,200, stainless steel and pink gold $10,600 or an all pink gold version $28,000. 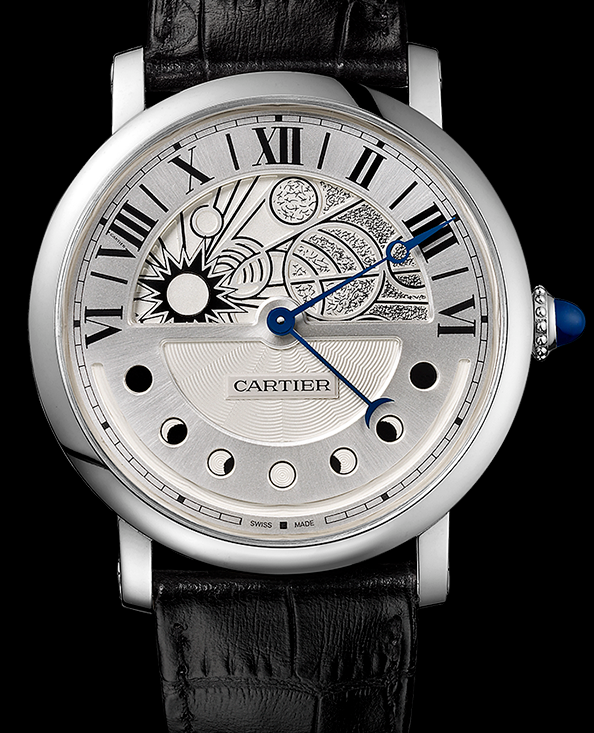 You can find a selection of Cartier watches on watchesonnet.com. 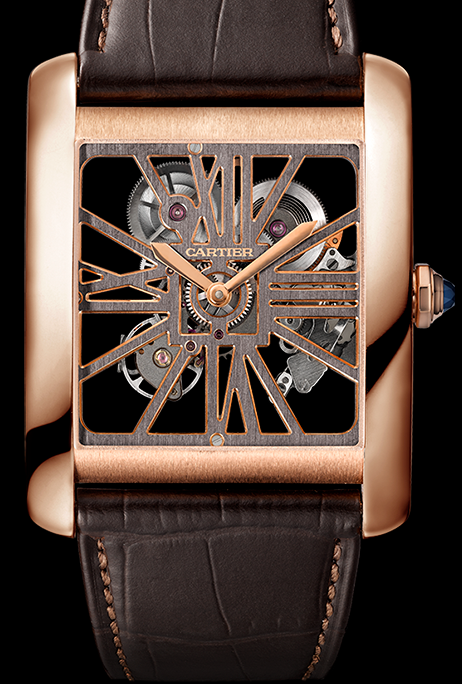 Cartier has posted 7 selections of New Arrivals 2014 on its website. 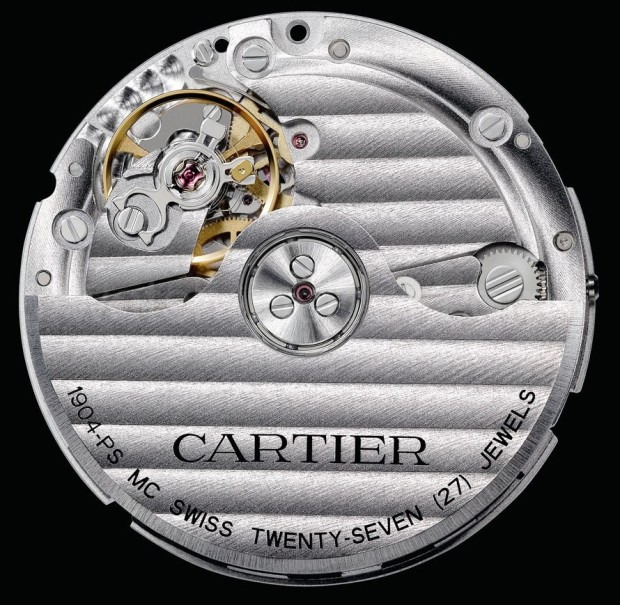 According to a recent report by Jeff Miller on Diamonds.net, “China’s high-net-worth community selected Cartier as the ”best of the best” jewelry brand this year as well as for the ”best jewelry watch” (click here for complete article). So what is the secret behind Carrtier’s success in China? It’s no secret that China has a socialist market economy, based on an open-market economy and on enterprises owned by the state. 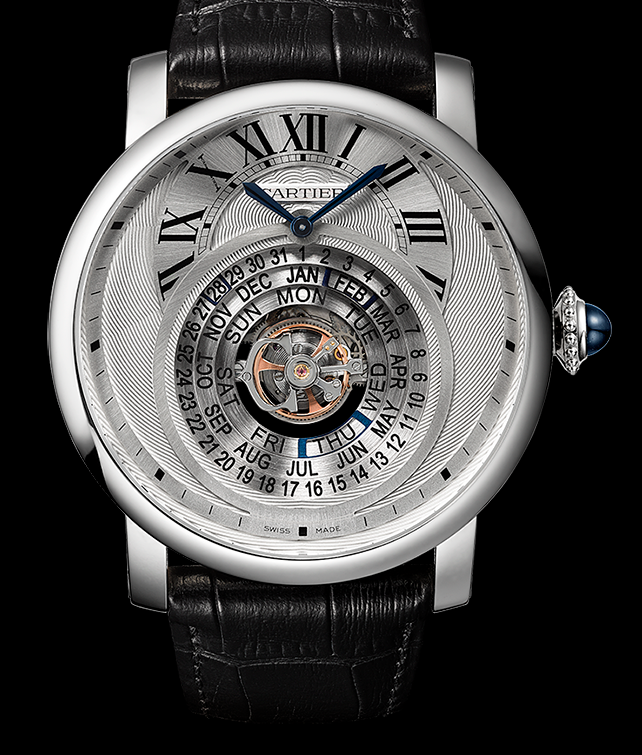 Campaigns and events were successful because Cartier worked on its relationships with the government. 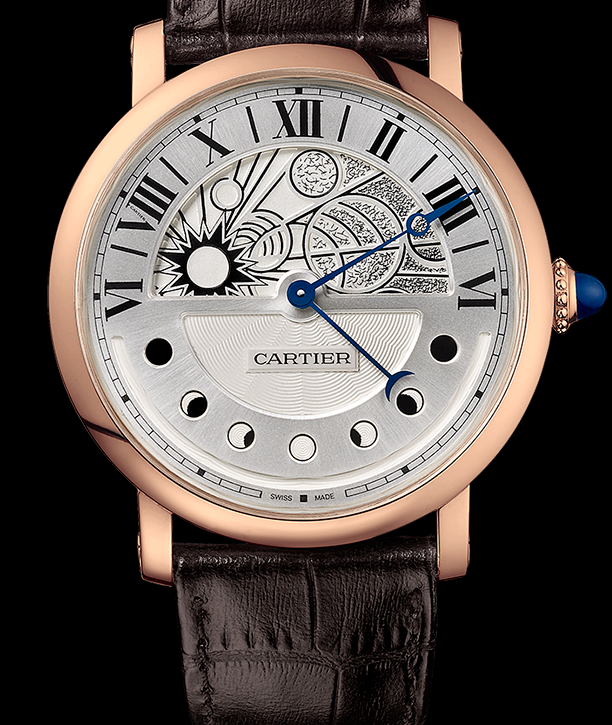 Cartier presented culture, heritage and history in a way that spoke to the hearts and minds of the Chinese. After all, the Chinese culture is a culture rich in tradition, values and history, so if Cartier did this right, it was sure to win over its target market. 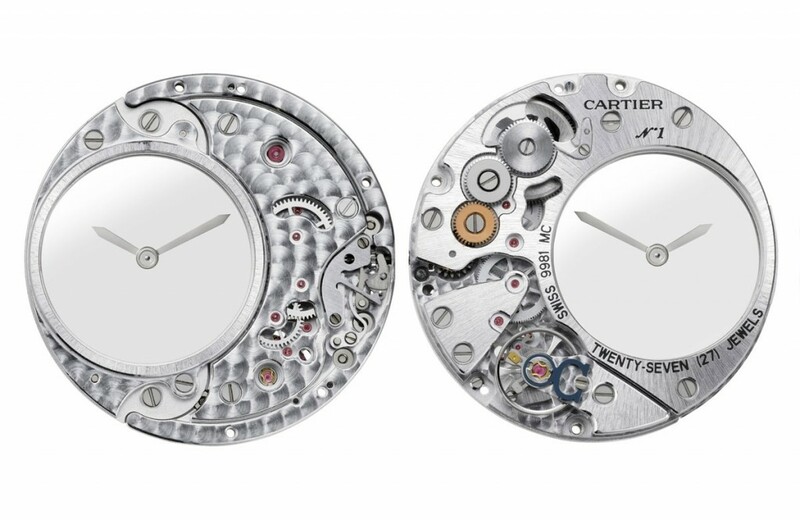 Cartier successfully used the online/digital media to draw in consumers. For example, in June 2012, Cartier placed ads on The New York Times China website to promote its Tank collection. The Chinese were swayed by celebrity endorsements that were well thought out by Cartier. 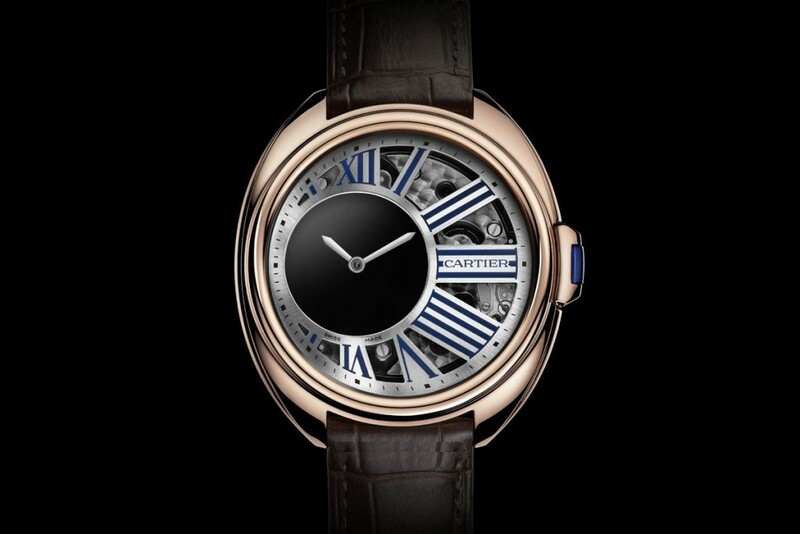 For example, Cartier used Khalil Fong, a local Hong Kong celebrity to endorse its Love collection. 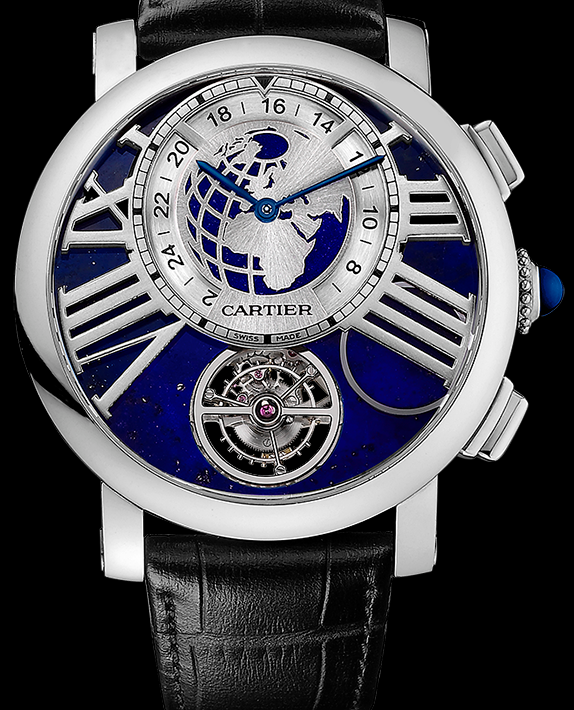 So perhaps Reason #5 is the real reason Cartier continues to top the Charts in China, even in its current economic climate? Maybe. Either way, the Chinese love Cartier. WatchesOnNet.com ships to China, so in this economic climate, they can get discounted Cartiers directly to their doors. 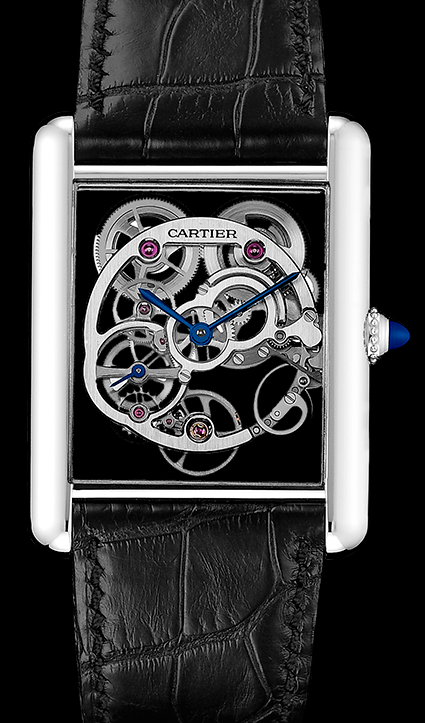 Click here for a selection of Cartier Watches from WatchesOnNet.com.